The Qatar Stock Exchange (QSE) started Wednesday’s trading in the red, pressured by the fall of the banking and insurance sectors. By 10:05 am Qatar time, the general index inched down 0.05% to 10,597.15 points, losing 5.69 points. Turnover amounted to QAR 43.8 million after 1.7 million shares traded through 850 transactions. The telecommunication topped the QSE’s losers falling 0.45% due to Vodafone Qatar’s 0.35% drop, while the insurance sector declined 0.07% as Qatar Islamic Insurance plunged 3.33%. 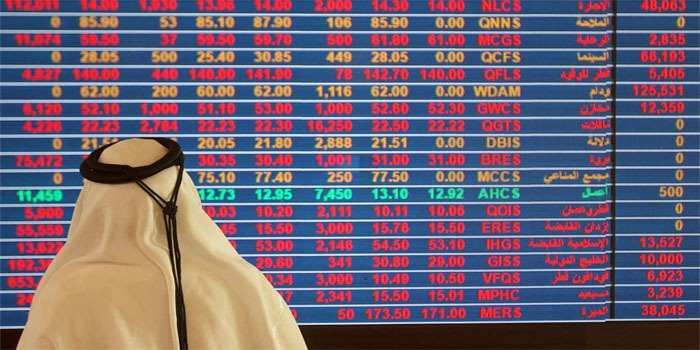 Meanwhile, the goods and services sector headed the bourse’s four gainers adding 0.41% as Medicare Group rose 3.22%, while the real estate sector grew 0.38% on the back of Barwa Real Estate’s 0.43% increase. Qatar Fuel’s (Woqod) stock, which advanced 0.99%, led the QSE in terms of liquidity with QAR 8.5 million, whole Aamal’s stock, which went up 3.5%, spearheaded the market in terms of trading volume with 423,100 shares.